Over medium heat, in a small pot, mix the basil, sugar and water. When it boils, turn down the heat to low and simmer for 10 to 15 minutes or until it reaches a syrupy consistency. Discard the basil and transfer the syrup to a small bowl or jar if you are storing it. Let it cool. Refrigerate if you are not using it immediately. 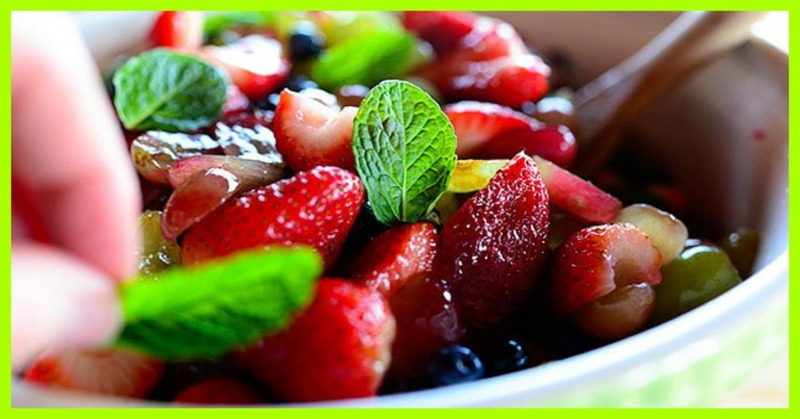 In a small bowl, mix the goji berries, 3 tablespoons of the basil syrup and 3 tablespoons of water to soften them. In four indiividual bowls, distribute the fruits and softened goji berries. Sweeten with the basil syrup. Garnish with basil or mint leaves.